Here is an AccuWeather map of the unusual lightning from around Baltimore across Delaware about an hour ago. The + sign = cloud-to-ground lightning. There was more lightning than this, the in-cloud and cloud-to-cloud strikes aren't displayed on this system. 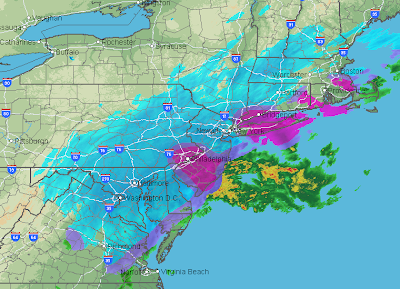 The winter storm continues to organize and move northeast. 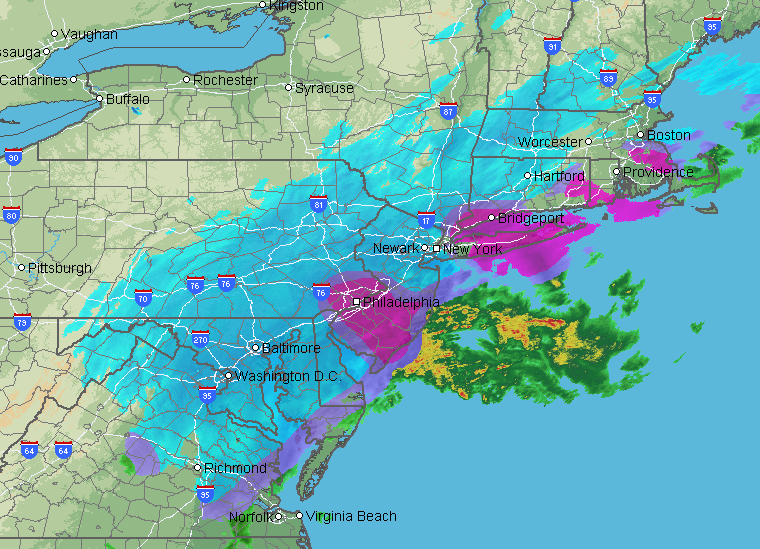 Here is the latest AccuWeather radar. And, with the winter storm causing serious problems, here is the Airline Crisis Survival Guide.